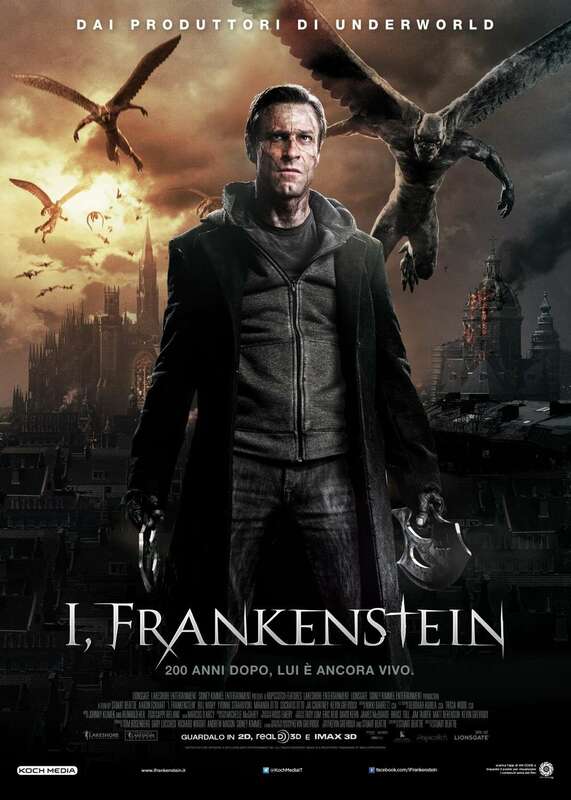 “I, Frankenstein” is a strange new movie and a title that I could never get by my editor. Frankenstein’s Monster, (Aaron Eckhart from “Olympus Has Fallen”) now named Adam by the Gargoyle Queen (Miranda Otto from “The Flight of the Phoenix”) is still alive 200 years later. That’s right, I did say Gargoyle Queen. You see, this is not your father’s – or Mary Shelley’s – Frankenstein. It turns out that Adam is still angry about everything, from his creator, Victor Frankenstein to the demons who want his secret to reanimation and the Legion of Gargoyles who want to kill him if he does not help them. Actually, even if he helps them, they still want to kill him. But the real reason he is pissed after 200 years is he does not have a girlfriend. I wish that were a joke, but it was an attempt to put a little heart into this 3D, CGI, sci-fi, comic book style movie. This movie did make me think about Steve Martin’s “The Jerk,” as the Queen told Adam he needed to find his “special purpose.” I don’t think that is the kind of homage they were going for. This horror-sci-farce is brought to us by Australian writer/director Stuart Beattie (“Tomorrow When the World Ends”). He tried to make something dark and creepy and cool, but like Adam, this movie has no soul. There is nobody to root for and you don’t even care if the world is coming to an end. I did see this movie in 3D IMAX, and with an 83-minute running time, at least it was over quickly. I have to say the movie met my low expectations. I mean, if anyone even tells you about the trailer, you start rolling your eyes. So if you go to see this movie, you have to know what you are in for. I mean, it’s not as bad as a stick in the eye, and for that reason I give this movie 2 ½ stars out of 5. If you can find a better movie with a Gargoyle Queen, let me know.